David John Colley (born 15 March 1947, Mosman, New South Wales) is a former Australian cricketer who played in 3 Tests and one ODI in 1972. Colley was a medium-fast bowler who played for New South Wales in the Sheffield Shield between 1969/70 and 1977/78. He played 3 Test matches and 1 One Day International for the Australian national team during their 1972 tour of England. 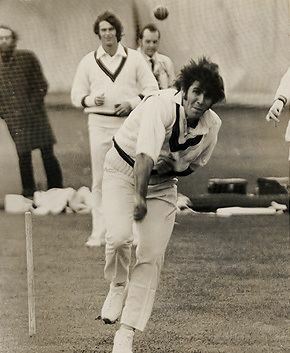 Colley played in the first 3 Tests in the 1972 Ashes series. He opened the bowling in his first Test in Manchester and was first change bowler (Dennis Lillee and Bob Massie opened) in his second at Lord's. Massie took 16 wickets on debut in that match.